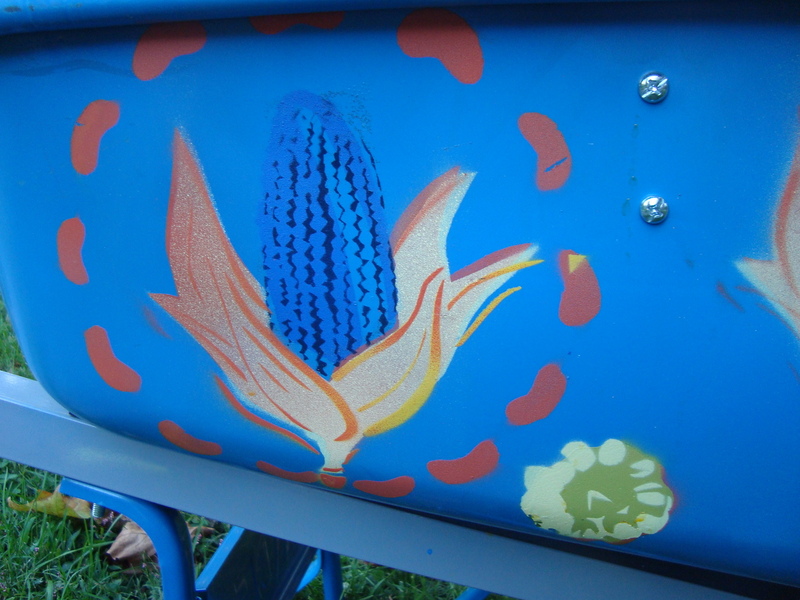 The aspect of the project that I decided to focus most on was designing the tamale cart; at the “Green Acres” show opening, I will sell hot tamales for $2.00 out of a wheelbarrow. 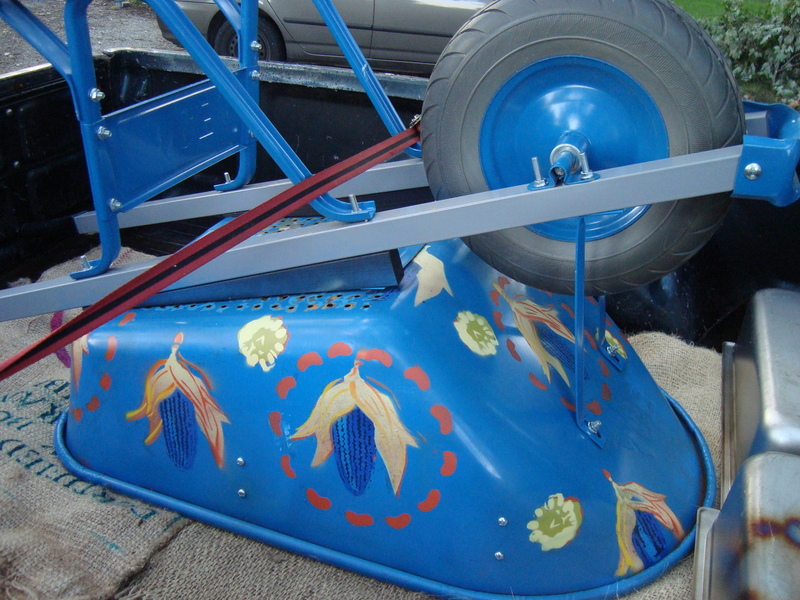 At the beginning of September, Vicki and I began discuss the design for the outside of the wheelbarrow. Inspired by a fabric pattern, Vicki told me to sketch a design that reflected that pattern and included the Three Sisters Garden: corn, beans and squash. Originally unsure of the desired scale, I came up with some rough sketches to show Vicki. 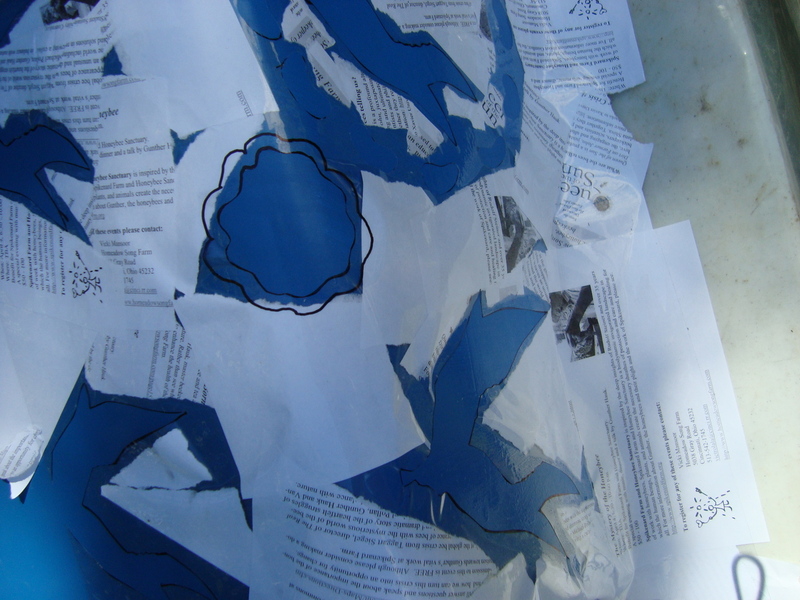 After mapping out a rough plan, we got to work on cutting out stencils. Vicki and I found that we had to cut out a variety of stencils in order to layer multiple colors. 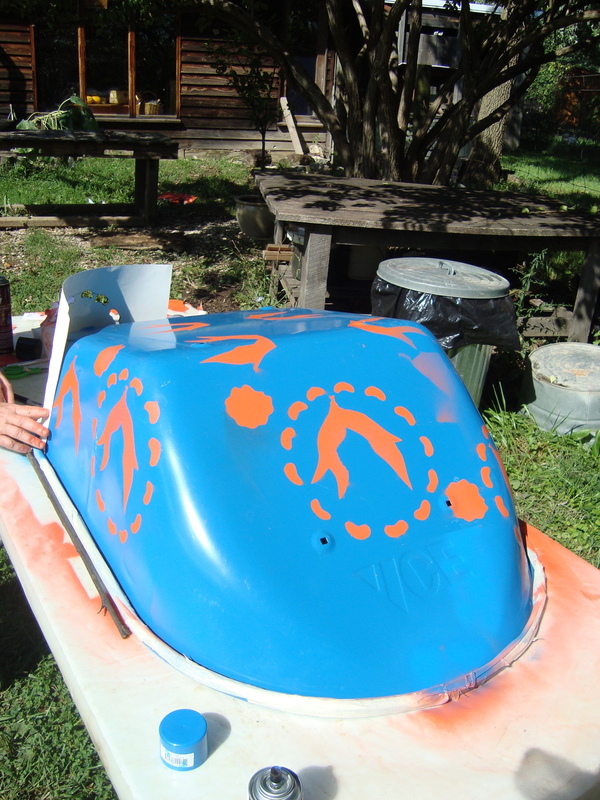 Problems we faced during the process included stencils ripping in half and ripping paint off of the wheelbarrow. Spray paint was the most effective media to use on the metal wheelbarrow, so we made sure to be thorough when covering areas while spraying. After many hours of concentrated labor, our wheelbarrow was ready to be shown off at the CAC. The next step is the tamales themselves!